So after what feels like an interminable search, the role of Nancy in the latest West End production of "Oliver!" has finally been cast, thanks to BBC-1's "I'd Do Anything". We were quite happy with the final two - Jodie and Jessie - so we weren't too bothered about who would win. I'm not taking anything away from Jessie as a) she was too young for this part but she will get something out of it; and b) us redheads have to stick together; - but based on our memories of "Oliver! ", Nancy was a mature, raw, rough and ready character and IMHO Jodie was so obvious for this role. Despite producer Cameron Mackintosh and "the Lord" Andrew Lloyd-Webber clearly expressing a preference for Jessie prior to the announcement of the final vote, it was Jodie who got the most viewers' votes and won the role of Nancy. So ALW and CM are apparently none too pleased with the outcome. Well, lads, get over yourselves. The BBC has given you several weeks of free publicity for a show that will inevitably sell tickets regardless of who was chosen as Nancy, or Oliver for that matter. We liked Jessie - a lot - but she is too young for this particular part. If "Any Dream Will Do" taught us anything it was that prime-time Saturday night TV provides an amazing launchpad for theatrical careers and so Jessie will get her day on the big stage, whether as Nancy understudy/replacement or in another (maybe more) illustrious show. In the meantime ...congratulations to Jodie, I'm sure she will do very well. I'm just glad it wasn't Samantha, who left me cold throughout the bits of the series that I watched, and even at the final stages I still wasn't impressed. Anyway....how good was it seeing Lee Mead and his coat of many colours again tonight???? Lucky old Denise Van Outen!!! Last week: lost 2 lbs (despite eating my way round Riga). This week: lost 2 lbs. It's been a hard week, what with injuring my shoulder and my fitness regime/over-enthusiastic gardening sending my body into a state of chronic fatigue, so I was extremely delighted to end the week with that good news. This Is My Life - Euroband: this blog's undisputed favourite Eurovision finals entry of 2008. They were robbed. Divine - Sebastien Tellier: too good for Eurovision? Outta My Head - Ashlee Simpson: why isn't this a bigger hit? So catchy. She's Dangerous - M Pokora: one of the biggest songs on the radio during my Riga holiday - and it looks as if it'll be a big international hit. If Only You - Danny and Therese: heard this a few times over in Riga too. Rockin' for Myself - Motiv-8: cracking old dance tune from 1994 or thereabouts which I've rediscovered and can't stop playing. Who Do You Think You're Foolin'? - Rongedal: follow-up to "Just A Minute". I'll be reviewing their album soon - it's full of ridiculously catchy tunes! Jennie Let Me Love You - E.M.D. : didn't really like this to begin with, but Rix FM has played it so much that I've been knocked into submission. Daylight - Kelly Rowland: Easy-going pop-soul number which has grown on me over recent weeks. Maybe/Thunder Without Rain/Day Before Tomorrow - Brainstorm: I'm still familiarising myself with Prata Vetra's new Latvian-language album - but I'm still loving these classic old English-language songs from them. 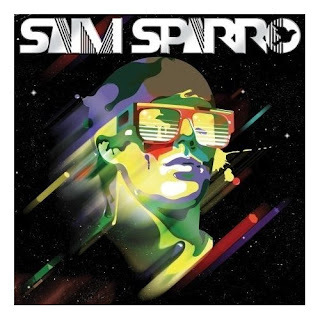 21st Century Life/Hot Mess - Sam Sparro: two of the best tracks from his debut album. Always Always - Zuma: this just gets better and better. It may not have had the ESC impact of "Hold On Be Strong" but presses the right buttons for an old new-romantic fan like me. Still a long way from normal service being resumed. OK so my time management is all over the place again this week so "The Riga Diaries" won't be on here till this weekend at least. I will get round to doing them though! What a great holiday that was - at least the weather was good, unlike the torrential rain which soaked me not once, twice but three times today :( Add to that what feels like a dislocated shoulder after being a bit too enthusiastic with my "Edward Scissorhands" impersonation in the garden last night....you can say Wednesday wasn't the best day I ever had. Still, it's almost the weekend!! On the plus side though I've been checking my site visit stats and I'm absolutely delighted that so many of you have visited this little blog over the past week - possibly more visitors than I've ever had before, so thanks to each and every one of you, you're all welcome and hopefully you enjoyed what you've been reading. Thanks again!! With "Black and Gold" still in the UK top 10 singles chart, and remaining this blogger’s favourite song of 2008 so far, much was expected of the Aussie soul man’s debut album. And let me tell you, it doesn’t disappoint, although it’s far from perfect. Sam very smartly blends some old retro soul influences with some very modern production values and the result is a very good (but far from perfect) debut album which has stood up to repeated plays on my CD player over the last three weeks or so. And that’s no mean feat, as I’ve become very hard to please! "Too Many Questions" may have some predictable rhyming couplets but it’s a good funky starter before the main course - "Black and Gold" of course, which I have to say is still the best track on this album, and still sounds as good today as it did all those months ago when I first heard it. Quite outstanding! He manages to keep the momentum going with "21st Century Life". If like me you are missing Jamiroquai being around, this will fill the gap. Danceable, funky and radio-friendly, so no surprise then that this is likely to be the next single. There are little 80s electro/new romantic influences running through "Sick", which I didn’t initially like but it’s a real grower. Likewise the spaced-out "Waiting For Time", in which his vocals remind me of another great recent soul man - Seal. "Recycle It! ", well this is a very topical theme, but could only be described as ‘filler’. "Cottonmouth" is one of the most talked about songs on this album and is also a grower with that "I need some H20 down my throat" hookline towards the end. "Hot Mess" is one of my favourites and on listening to this you could be forgiven for thinking it was Prince!! I think this could be a future single as it has a really good chorus. "Pocket" is another favourite of mine - "keep your friends close and your enemies in your pocket". Very catchy electro-pop. I’m not so excited about "Cut Me Loose" which is just a functional funky workout which doesn’t really go anywhere. "Sally" is rather good though, again relying on those 80s electro-style beats and might just have you breakdancing. I think "Clingwrap" is a little silly - although still very catchy - so let’s go on to the last track - "Can’t Stop This" which brings the proceedings to a foot-tapping funky end. The hidden track "Still Hungry" has the theme that even if you have it all, something’s still missing. It’s also musically very different as it’s stripped back to voice and piano, rather than the pounding electro beats of the previous 13 tracks. All in all, this album may not to be everyone’s taste, but I like it - although I’d have hoped for more of the tracks to be up to the standard of "Black and Gold". Still it’s a very good first effort and he can be very proud of this, which will probably turn out to be one of 2008’s best albums. Contenders...ready! Gladiators....ready! Viewers....ready! Yes "Gladiators" (Sky One) is back, and as I previously mentioned on this blog, I am very excited about this indeed. And even after all these years, it still has most of the old magic, even if we still have to get to know the new batch of Gladiators before we decide if they are a match for Wolf, Jet, etc. (Oblivion obviously thinks he's the new Wolf) and there is just something about Atlas (pictured above) even though I'm not usually attracted to muscle-men...! Anyway it's all enjoyable, entertaining panto fun, although it's a bit more low-budget than it used to be. 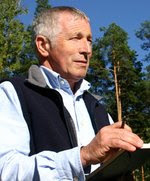 Excellent documentary series are hard to come by these days on terrestrial TV, but "Russia - A Journey" (BBC2) presented by Jonathan Dimbleby is a slightly more highbrow take on the Michael Palin travelogues of recent years, but has managed to provide several thought-provoking, hard-hitting moments in its three episodes so far - for example, last night focused chillingly on the prison which held a number of political prisoners in the 1970s and 1980s. In a total contrast I'm back watching "I'd Do Anything" (BBC-1) although my view remains the same, this talent search lacks the sparkle of the Maria/Joseph series of 2006/2007. Jessie, Samantha and Jodie will contest next week's final: initially we supported Jessie, although we now feel she's too young for the part of Nancy. I can't see the appeal of Lloyd Webber favourite Samantha, and we think that Jodie would be the most appropriate choice for Nancy - or are they looking for someone younger/more glamorous? As I was off on holiday I missed the last episode of "Army Wives" (Living TV) - thank goodness for episode guides! - anyway the good news is that there will be a second series starting on US TV in June, and hopefully we should have it next year. It was lightweight and soapy, but a nice change from all the usual action/sci-fi/paranormal/forensic TV dramas. 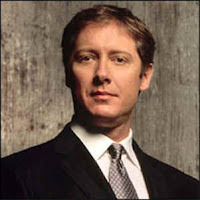 I've been going on and on for years about how wonderful and underrated "Boston Legal" (Living TV) is, and even into its fourth season this funny, well-acted (and often surreal) law drama which manages to make many subtle political points through its sharp scriptwriting. The only thing that annoys me is that Crane, Poole and Schmidt never lose a case! I haven't been following season two of "Heroes" (BBC2) - which may come as a surprise, as I loved season one so much. I can't explain why...I did watch the first episode and thought it was ok. Obviously not ok enough to go back for subsequent episodes...! A Russian Eurovision win? Not impaa-see-baal. I'm OK with that, maybe it's because that I'm in the advance stages of a bottle of red wine, or maybe it's just because Eurovision these days is a pre-ordained foregone conclusion. When the contest reached the stage that Greece and Armenia became serious contenders, there was no alternative than for this blog to throw it's weight behind Russia. Yes folks, another Eurovision is over, with yet another predictable result. A Russian win was inevitable - with impressively-placed entries in 2000, 2003, 2006 and 2007, no-one doubted that they would win it one of these days. And so they did. So congratulations anyway to Dima, however we would have liked his song even more if he'd just gone out there to sing, rather than be surrounded by the distraction of a manic violinist and a figure skater. The United Kingdom inevitably ended up at the bottom of the scoreboard. Now I'm no patriotic Brit by any means, but Andy Abraham did his very best and did not deserve last place. What does this country have to do to get off bottom place on the Eurovision scoreboard? All in all it was a reasonable enough production by Serbian TV, although the opening act (last year's winner Marija Serifovic) was interminable - I still don't like "Molitva" and her vocals on this and the other song didn't impress me. Hosts Zeljko and Jovana were ok I guess, although interchangeable from any male-female presenter pairing of recent years. Romania: boring, old fashioned, two people yelling at each other. United Kingdom: colourful stage set and faultless funky soulful vocals by Andy Abraham. Albania: another Balkan ballad which I thought would get enough votes to go mid-table, but where was the tune? Armenia: This year's Helena Paparizou/Shakira tribute act. Has no-one told her it's not 2005 anymore? Bosnia: at least this brought a smile to our faces. Highly entertaining, and we liked this more than previously. Israel: didn't really know what to make of this, it was ok but I expected something more as it was written by Dana International. Finland: bit of rock which went down well here. Hoo! Ha! We liked this again because it was different. Croatia: suddenly it all became clear. This is why we watch Eurovision year after year. A geriatric rapper and a tango dancer playing the glasses...that's what it's all about. Poland: we spent more time discussing her frock, suntan, 'front' and teeth rather than the screechy wailing song, which summed it up. Iceland: exceptional, didn't put a foot wrong, done themselves proud. Turkey: decided this was a cross between Calogero, the Stereophonics and Barbados' "Varlden Utanfor" which was good. He was a good singer too. Portugal: highly regarded after its qualification from the semi-final although its fado feel would never impress the whole of Europe. Latvia: now I'm just back from that country and so I won't be too unkind to the 'pirates' who were 'robbing you blind' . Good fun. Sweden: and so after all the build-up, Charlotte still (for me) failed to deliver the knockout performance of "Hero" which we expected. Denmark: foot-tapper (if eventually irritating) song with a memorable catchy chorus. This is the kind of song that used to do so well. Georgia: I feared the worst but this wasn't too bad actually. Ukraine: no complaints regarding the highly professional staging/performance of "Shady Lady" which I viewed as a possible winner. France: Great stuff. Not really one for Eurovision I know, but I liked everything about this, right down to the backing singers' shades and beards. Azerbaijan: laugh if you must, but after a couple of listens/viewings "Day After Day" became quite popular at EuropeCrazy HQ. Proof that Terry Wogan's time is up: he couldn't even deliver classic quips about this one. Greece: Britney Spears meets Helena Paparizou. We decided tonight that we didn't like this at all, and that it was possibly our least favourite of the night. Spain: By this point I'd consumed so much red wine that I even appreciated this one and even worse, was able to rap with the lyrics. My mum liked this. Serbia: now if "Beli Jablan" had done it, Serbia would have been in my top 5 on the night. As it is, it was just a Serbian woman wailing in a big frock. Mum wants to hear "Baila El Chiki Chiki" again. Russia: Dima Bilan's name's been dropped here at EC HQ on many an occasion, so it was inevitable that this would attract our attention. Mum thought he was quite hot too. "You never told me he was good-looking!" Norway: we were both impressed by Maria's performance of "Hold On Be Strong" and given the draw, thought that it would do rather well. Interval Act: some Balkan folk thing, dare I say it was interminable again? Voting: after 6 countries, Russia were in the lead. 10.29 pm: UK received 6 points from San Marino. Best-friends-forever status now guaranteed. Likewise to Ireland, who gave us out only other votes: 8 points. After 9 countries, Greece in the lead. Speculating on horror of further Greek win. And the 12 points from Serbia goes to ....Bosnia-Hercegovina! Stian Barsnes Simonsen was Norwegian voting spokesman, sparking uncontrollable scenes of delight at EuropeCrazy HQ. "12 points goes to Sweden": possibly the funniest moment of the night as Bjorn Gustafsson delivered the votes for Sweden. Oh, it was 12 for Norway. Quelle surprise. For us Librans, "Making Your Mind Up" is not the easiest of tasks. 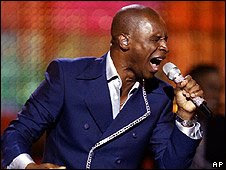 Good luck to Andy Abraham for the UK, he's a good singer but the song is quite weak and (IMHO) wouldn't really appeal to a Eurovision audience. Royaume-Uni has also taken up annual residence near the foot of the scoreboard, so I wouldn't really expect that to change. I'll be back later tonight with some ramblings. I've got the wine and the Twiglets ready!! In the meantime, enjoy Eurovision night everyone and may the best song win (although it usually doesn't)!!! ...from a very wonderful five days in the Latvian capital, Riga. We both had a great time, the sun never stopped shining, the scenery was beautiful, and as usual there was lots of good food and drink to be had. Full review on the way, I've been writing my travel journal and I'll publish little excerpts on here in the next few days. Call me predictable, but I did my duty and popped into a record shop where I purchased a Prata Vetra CD and live DVD, and a compilation album of recent Latvian pop hits. I've still to listen to these and will review them on here soon. I'm still coming to terms with the outcome of the two Eurovision semi-finals, (both of which I managed to catch the last 5 minutes of). It's good to see all five Nordic countries through to the final (we anticipate many a comment by Mr Wogan about the Nordic bloc vote) - but on the other hand I'm disappointed that Switzerland and Belarus didn't make it. The waiting is almost over - I'm off to Riga tomorrow with my man for a few days' holiday and my excitement is getting out of control at the thought of visiting our first ever Baltic capital. I haven't really had much time to blog over the last three weeks, what with preparing for my Dublin trip and then Riga. All things being well I should be back on the blog on Saturday 24th - Eurovision Day! - and normal service should be resumed again shortly afterwards. I won't see the Eurovision semi-finals (bad timing for the second year in a row) but hope that justice is done and the right songs qualify to Saturday's final - especially Iceland!! Anyway I'm off now to finish my packing. http://www.youtube.com/watch?v=j5f_8RLvSHM has the lovely Renars and his chums doing what they do best. In Latvian too. Riga on Monday. Can't wait!! 1984: At that point in my life they were just my most favourite band of all ime. http://www.youtube.com/watch?v=fvzI9AqeIog&feature=related : this is a video of "Sooner Than You Think" recorded at BBC Radio 1, in August 1984. This band had a long, long career but tonight I've chosen to go for "Rocks" which reminds me of some rather happy times, 'back in the day'. The chiming guitars on this are amazing. Oh, and speaking as a redhead, Miki Berenyi had that red hair I always wanted. Where has this week gone? Apologies for the delay in finishing off my review!! I've been rather impressed by "Hasta La Vista" by Ruslan Alehno - even with its musical makeover - and can only hope that Belarus has enough friends out there to get them through to the final. Latvia has given us "Wolves of the Sea" by Pirates of the Sea, which is yet another 'joke' entry (masterminded by Swedes!) but the difference here is that it is soooooo catchy and I think it may have done enough to qualify. I'm in Riga next week too, so I'll keep an ear out for this! Croatia....they haven't done too well over recent years have they? Are these old blokes (Kraljevi Ulice & 75 Cents) the best they can do? "Romanca" is the song, and if it qualifies, well, I might just eat my computer. Three cheers for Bulgaria, if only because "DJ Take Me Away" by Deep Zone & Balthazar is different enough to do well. Absolute qualifier. I think. Every year there is an entry which IMHO is cynically fixed to tug at the heartstrings. Enter Georgia with "Peace Will Come" sung by Diana Gurtskaya. Like many of this year's entries, nothing to write home about. Hungary has gone for a Chiara-type entry this year, "Candlelight" by Csézy, which has a nice old-fashioned touch to it. I've got a feeling this might just make it out of the semi final. Malta is desperate to win ESC every year, but I don't think "Vodka" by Morena is the one to do it, although it should just get into the final. Just. Another song, another female brunette. This time, Cyprus. I don't like "Femme Fatale" by Evdokia Kadi as much as last year's "Comme Ci Comme Ca" and that didn't make it out of the semi, so this one shouldn't either. FYR Macedonia....well the general view, post-"Make My Day" is that they only need to turn up. Their song is "Let Me Love You" by Tamara, Vrčak & Adrian. Inevitably, like most of their entries, it just goes over my head. Sorry. "Senhora do Mar" is this year's Portuguese entry. I love that country, but I'm never really keen on their entries every year....Vania Fernandes may spring a surprise with a familiar-sounding song though (anyone hear Christina Aguilera's "Hurt" in this??). It's got a little of the 'Molitva' about it and might just get out of the semi-final. Former X-Factor finalist Andy Abraham has the poisoned chalice/career suicide of representing the United Kingdom this year. He is a good singer, but the problem is that "Even If" isn't such a memorable song. However I am confident that he'll do his best, but the way ESC is going, anything other than bottom 5 on the 24.05.08 scoreboard is unlikely. Germany are represented this year by No Angels. I like the contemporary style of "Disappear" but like their fellow 'big 4' countries they've now got left behind in this contest and I don't expect them to get out the bottom half of the final scoreboard. France should always be applauded for trying something daring and different and they've done it again this year with the Beach Boys-meets-Etienne Daho style "Divine" by hairy bloke Sebastien Tellier. Don't expect great results, but this will provide a nice diversion from many of the other bland entries. Spain is still searching for the magic ESC-winning formula. A joke reggaeton song called "Baila El Chiki Chiki" by Rodolfo Chikilicuatre is not the answer.. I am still pining for D'Nash. Serbia: if you judge a nation by its ESC entries, you could be forgiven for thinking that host nation Serbia is the land of the dreary ballad (exhibit A: "Lane Moje", exhibit B: "Molitva"), so they are defending their title with exhibit C...a dreary ballad called "Oro" by Jelena Tomasevic. Zzzzz. It could, and should, have been "Beli Jablan"!! Well, that's all folks. Who knows who'll win the 2008 Eurovision Song Contest? I'll do one of my (usually useless) predictions and say that it will be between any one of the following 7 countries: Russia, Ukraine, Norway, Sweden, Iceland, Azerbaijan, or Switzerland. Or maybe somewhere else. Propane Nightmares - Pendulum: I don't know who they are, I don't know anything about them, but this is quite a stunning mix of dance and rock which hit the UK top 40 and made me sit up and take notice. American Boy - Estelle feat Kanye West: it's old news now, but I think this song is standing up to repeated airplay/iPod rotation. Black Sun, Black Moon (live) - Salem Al Fakir: still on massive repeat-play at EuropeCrazy HQ. This Is My Life - Euroband: Icelandic dance-pop-tastic Eurovision entry which must must must qualify for next Saturday's final! Number One Fan - Dima Bilan: I still think the presentation of "Believe" is overblown and extreme. This on the other hand is just a good r'n'b track. Bang On The Piano - Jack McManus: major chart scandal of the year - the failure of this song to make the top 10. I am still loving it though! Do It Yourself - Uniting Nations: in Eurovision week what could be more appropriate than a fab little dance anthem by Mr. Teenage Life himself, Daz Sampson!! The Age of the Understatement - The Last Shadow Puppets: this just grows and grows on me. Bit of a change this week though, as the worlds of football, music and Eurovision have collided, so I thought this would be worth a mention. Whilst watching the UK top 40 rundown on The Box last night, the Cardiff City FA cup song came on. Now these football songs are usually an embarrassment, but I was quite impressed by "Bluebirds Flying High", sung by ex Fame Academy and Royaume-Uni Eurovision 2004 entrant James Fox. Of course it wasn't enough to spur his team on to victory at the FA cup final today, but I still think it's rather good for a football song. Apologies for the lack of posts over the last week. State of mind: muddled, distracted, confused, but also very very excited ...yes of course I'm going on holiday next Monday!! And when I go on holiday it's like a military operation. Not for me the spontaneous night-before case packing, oh no. Being the control freak that I am, it's list-making and obsessive transport arrangement co-ordination all the way. Firstly, thanks to Acer Ben for pointing out that I’d left Poland out of my 1st semi-final review. Very sorry about this! However, the bad news is that their entry "For Life" by Isis Gee (after Norway and before Ireland in next Tuesday’s running order) does not really float my boat as it’s a ballad, although admittedly she has a very good voice. Now on to my first part of my review of the second semi-final, as I haven’t got enough time tonight to review it all. First on isn’t a good spot in the running order, but Iceland have sent yet another cracker this year: the rather wonderful "This Is My Life" by Euroband, which is a great big slice of Euro-dance, the kind of which always goes down well at EuropeCrazy HQ. One of the year’s best. Turkey has gone all rock this year, which maybe isn’t a good move for them, but there is something I quite like about "Deli" by Mor Ve Otesi, kinda reminiscent of a Turkish version of Calogero! Diaspora votes guaranteed, blah blah blah. Guess everyone’s pre-determined this year’s winner then - Ukraine. "Shady Lady" by Ani Lorak is a little similar to "Hero", but she’s younger than Charlotte, hotter than Charlotte and the end result has just that bit more oomph. Lithuania have thrown their chances away yet again with "Nomads In The Night" sung by Jeronimas Milius, it’s a kind of operatic-musical-theatre number which will probably be propping up the bottom end of the scoreboard. I’ve only ever loved one entry from Albania - "Zharr e Ftohte" by lovely Luiz Ejlli, which didn’t even make the 2006 final. This year’s song "Zemren e Lame Peng" by Olta Boka is pleasant enough and "Balkan" enough to get a few votes. I was one of that (very small) minority who liked "Vampires Are Alive" last year and thought Switzerland was robbed. Hopefully justice will be done this year with "Era Stupendo" by Paolo Meneguzzi. It’s good to hear the Italian language at Eurovision again. He looks great and sounds great and hopefully the presentation/staging will not let the song down. More songs to follow, hopefully same time tomorrow! It’s been a strange one this year. For some reason I have deliberately chosen to avoid most of this year’s songs until now, for reasons not even known to myself - am I getting bored with Eurovision? Can that be possible? So here is the first part of my review of this year’s songs, mostly based only on one or two listens. 1. Montenegro: Not earth-shattering is it? Standard Balkan pop-rock which is ok but nothing more. 2. Israel: It’s not the worst, but it’s not the best either. Rather forgettable. 3. Estonia: Now I generally have great respect for Estonia at ESC but will have to pass this year on this Peter Kay-style joke entry. 4. Moldova: This is probably this year’s "Love or Leave" and as such has virtually no chance, but on the other hand it has a kind of Basia-jazz-vibe which isn’t bad, but overall it’s still lacking a hook and is unmemorable. 5. San Marino: Welcome to a new country...but again it doesn’t excite me. At least it’s a little more contemporary, but won’t qualify. 6. Belgium: what’s with Belgie and these imaginary languages? This (IMHO) is unspeakably bad, but has a good chance of qualifying, in which case then at least I’ve got the toilet break sorted out. 7. Azerbaijan: initially I hated this, but having heard the other songs in this semi-final I’ve decided this screams absolute qualifier (and boy, does it SCREAM!) May just do some serious damage at the final and will be one of the year’s most talked-about entries. 8. Slovenia: they have never bettered Anzej Dejan have they? This might have a good chance of qualifying. Not sure if it will be sung in English or Slovenian? 9. Norway: On the one hand this could do well as it’s in the currently popular contemporary-retro style, but on the other hand it lacks the necessary spark needed for guaranteed qualification, and they might miss out on the final for the second year running. 11. Andorra: oh that would be ex-OT Gisela....a certainty to qualify, and the most schlager-y song in this semi final. 12. Bosnia-Hercegovina: just watched the video of this - has the chicken been replaced by an umbrella-ella-ella? Another absolute qualifier, but it’s absolutely bonkers in any language. 13. Armenia: dare we say Shakira-esque? It has all the relevant ingredients for a qualifier I guess. Is this type of ESC entry not about 3 or 4 years out of date? 14. Netherlands: although this is probably their best entry of the last few years it will suffer from the draw after Armenia and is likely to miss out again. 15. Finland: what I love about the Finns is that they ROCK!!!!!! This has as much chance of qualifying as I have, but at least they try to be different. 16. Romania: one of these years they are going to win this, mark my words. Very smart use of Italian, and very well placed in the draw. In with an extremely good chance of qualifying. 17. Russia: possible foregone conclusion that this will finally be their year, with the "Apologize"-vibe to it.... But this is not a patch on "Never Let You Go", or for that matter, "Number One Fan". However, Russia (and Dima) deserves to win it one of these years, so why not 2008? 18. Greece: absolute qualifier, with all the necessary ingredients to progress to Saturday’s final - notably its draw position in this semi-final. Black and Gold/21st Century Life - Sam Sparro: the current single and the next single from this year's major musical discovery. Album review to follow very soon. Love Song - Sara Bareilles: remember Daniel Powter's "Bad Day"? This might well be a female version of that, and might just run and run. Je Realise - Sinik featuring James Blunt: the impossible can happen:Blunt making this playlist. Decent French rap. Cry for You - September: UK top 10 chart success, no sweat. Phorever People - The Shamen: I've had a bit of a Shamen revival since a recent Retro Saturday. And why not. Disappear - No Angels: ooh....two weeks to Eurovision, and I've decided that this is one of my favourites this year. We Cry - The Script: Sometimes I like this song, sometimes it annoys me. At the moment I like it. I think. The Age of the Understatement - The Last Shadow Puppets: it's a playlist of surprises this week. Firstly James Blunt, now Alex Turner. You know I can't stomach the Arctic Monkeys, but this retro-flavoured track is rather great. I'm Yours - Jason Mraz: oh hurry up Britain and make this a hit! Outta My Head - Ashlee Simpson: I'm not really a fan of hers but I do like this, very catchy, and has eaten its way into my brain. Dangerous - M Pokora: Another regular fixture of late, and a production from Timbaland - the man who can do no wrong at the minute. The critics love, love, love it, and so (presumably) will the Swedish public. I refer to "Killing My Darlings", the debut album by Swedish Idol runner-up Amanda Jenssen, which was released today. With some of the hottest, hippest Swedish songwriters on board, and her refusal to stick to the accepted Idol-format-debut-album of cover versions and power ballads (yes I mean YOU, Marie Picasso), Amanda is one of the most original and unusual contestants ever to have emerged from that competition. You will recall that I certainly wasn't a fan of hers during the series towards the end of 2007, and couldn't understand what all the fuss was about until the final, when I realised that Amanda had tons of personality and her own distinct style. Going by the short clips I've heard at www.cdon.com, she's produced a quality debut album and is yet further proof that it's better if you don't win Idol. Talking of ex-Idol contestants, Christoffer Hiding has some songs on his MySpace (www.myspace.com/christofferhiding) which are clearly influenced by soul music old and new. "Marathon" is particularly good. He has a great voice and deserves lots of success too! 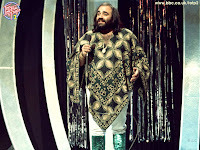 13 days to go till Riga and I feel like a female version of a Demis Roussos tribute act (if you're too young to remember him, ask your parents!!). Where I live, our definition of summer is two dry days in a row. Therefore I am pleased to announce that summer has finally arrived, so I'll work off the flab in the garden tonight!! The garden at EuropeCrazy HQ has been overrun by dandelions. I'm sure they must have some redeeming features but right now, they're the most useless thing in the world. 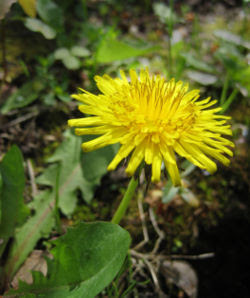 Remember when the Smash Hits Poll Winners' Party used to have an award for "most horrible thing", well, can I have a "most useless thing" category, and can dandelions be in it? And wasps? At this moment in time, Brolle’s profile couldn’t be any higher in his native Sweden. He’s reached the final of "Körslaget" (not without some controversy along the way), and he’s all loved up with fellow Swedish pop star Elin Lanto. He’s even shortened his name - he’s no longer known as Brolle Jr.
A perfect time then to release his comeback album - which is his third (am I right?) and his first in his native language. The first single "Solo I Stockholm" kicks the album off and has the same ‘dramatic’ feel as his earlier hits. It always strikes me that Brolle is a singer out of time...as he neither looks nor sounds like anyone else around today. And aren’t we glad. He is a unique performer. 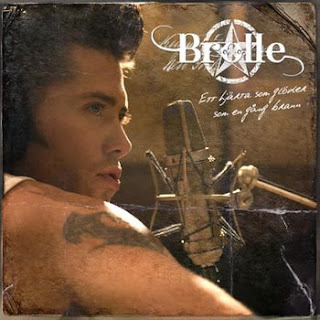 Brolle’s main musical influence is of course Elvis Presley, but the chorus of "Varldens Horn" recalls another singer from that era - Roy Orbison. There is nothing on here which comes close to dethroning "Playing With Fire" and "Last Night" as my fave Brolle tracks, but having said that there are some good tracks in there - especially "Det Är Hon" which is an obvious future single choice and jumps out as one of the album’s most accessible tracks. "Tillsammans" is for me another possible single. "Faller Du" (not the Patrik Isaksson song) is another good track and "Vaken Igen" is a particularly nice ballad. I am impressed that, just like his countryman Martin Stenmarck, Brolle is finally recording in his native language, with good results. Hopefully this album will finally bring him the success he deserves. 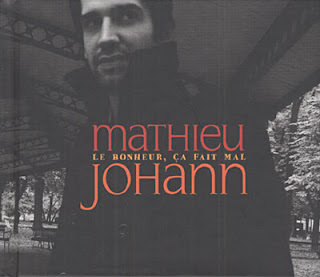 Mathieu Johann's finally released an album! "Le Bonheur, Ça Fait Mal" is its name, it was released in February 2008, and from listening to clips of the tracks it’s a fairly decent collection of guitar-rock-pop tracks with a mixture of modern and classic French influences. Mathieu was of course a finalist in Star Academy 4, (back in 2004) and was a notorious object of this blogger’s desire back then, and I guess he still is. Prior to going into the chateau he had recorded an album which was then shelved and never released, although at that time there were clips of the songs on the internet and they sounded rather good - correct me if I’m wrong, but only "La Plus Belle Fille du Monde" has survived that period and made it onto this album. All in all from what I’ve heard, it’s a good debut, although far from outstanding. I’m still deciding whether or not to buy it at a later date. Nevertheless, it is very good to have him back. ...after a 36 hour adventure involving "planes, trains and automobiles" I'm now back home tired but happy after my brief but busy overnight stay in the suburbs of Dublin with, as ever, my faithful travelling companion. Before we reached the hotel there was just some time for a brief stop in Dublin city centre and a stroll down O'Connell Street and over the bridge to the other end of town. It was a real trip down memory lane as I hadn't visited Dublin since 1995. It was very obvious that in the 13 years that have passed, the city has become a truly international tourist destination. It's still as youthful, lively and buzzing as I remember it, and we must go back again - hopefully we won't wait another 13 years! I am extremely tired though, so no more posts tonight. Normal service will return tomorrow.